Airport Commerce Center is located in Waterford, Michigan. 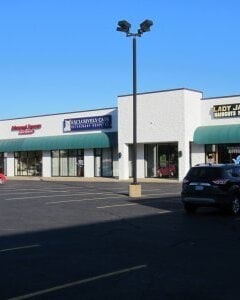 The property consist of 25,995 square feet of multi-tenant retail space as well as an additional 60,061 square feet of multi-tenant light industrial space with overhead doors. Attractive signage, landscaping, and tenant mix are all significant qualities of this site located along the busy M-59 corridor.